SIOP also aims to put all countries in the world under the same umbrella for the patients to be able to receive equal levels of diagnosis, treatment and care. We must work together to solve many problems and challenge together for the future. 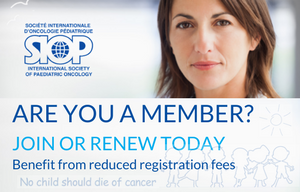 We hope that SIOP 2018 in Kyoto will be a turning point to further improve the cure rates and care of children with cancer in the whole world. Kyoto is an ancient capital of Japan with so many historical temples and beautiful natural resources. It has recently been ranked as the world No.1 city where the people want to visit. Especially, November is the best season of Kyoto, showing the wonderful scenery with marvelous changes of leaves color in mountains, temples and Japanese gardens. We look forward to seeing you at SIOP 2018 in Kyoto with warm hospitality.